A sweet little urn. 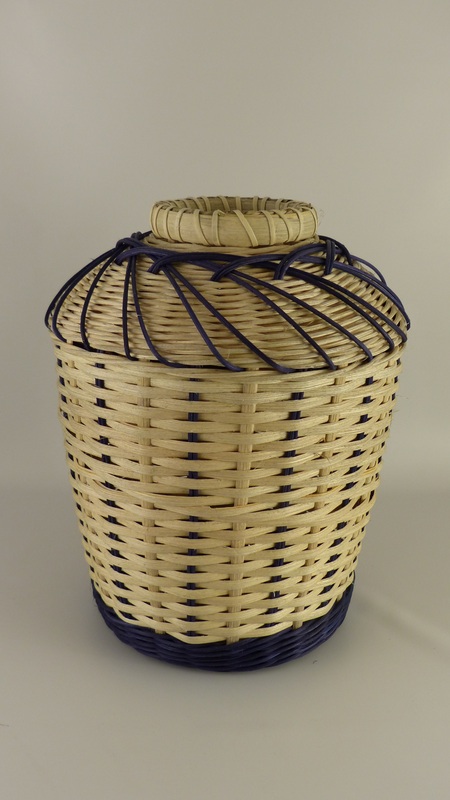 The basket starts with a round woven base that includes a fun way to add additional spokes. 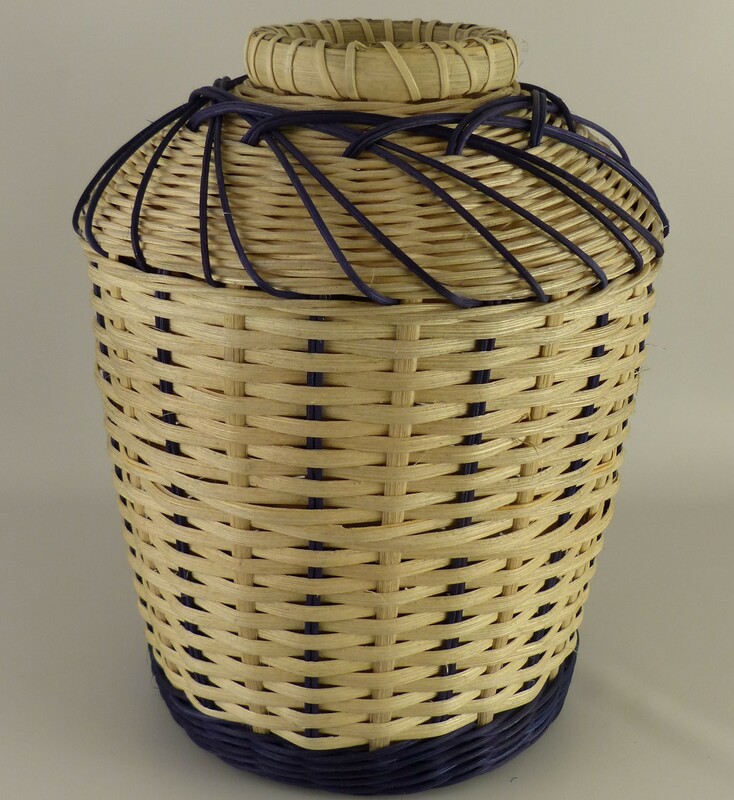 The basket is finished with a tiny lashed rim and a round reed embellishment.